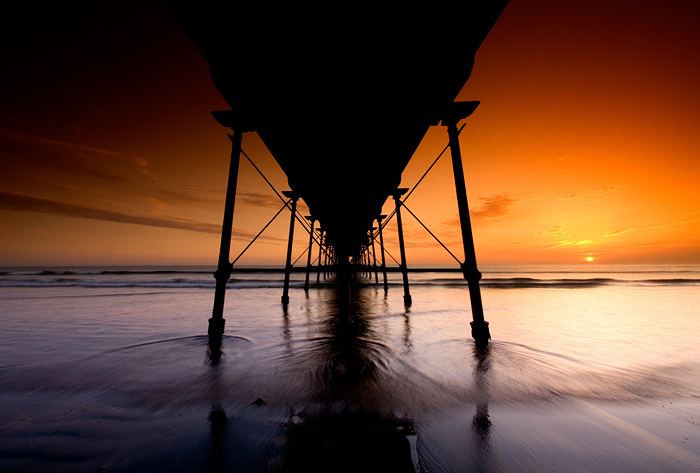 Photograph of the most northerly surviving British Pier and the last remaining in Yorkshire, the history of Saltburn Pier tells a remarkable tale of a man made structure defying the elements. Built in an exposed position, and facing due north into the unforgiving North Sea. This is part of a set if images that were taken early one May morning from 04:30am as the sun rose over the coastal town.